Have you noticed a recent decrease in Instagram engagement? If you’re not getting as many likes, comments, or new followers as you used to, don’t stress: it’s not just you! Everyone is being affected! So I’m here to share my best strategies to increase your engagement + growth! The MOST IMPORTANT tip—- and Tip #1 creating great content, growing your true tribe, and engaging with your customers on a daily basis will always be the best strategy! ➕Make your Instagram profile stand out! Think about how you reflect your brand in the best possible way. To achieve this, start by choosing an easily memorable username, including clear descriptions of your business and services and who YOU ARE! Use your logo or a great bright picture of yourself as a profile photo, so users will immediately recognize you//your brand! It is most important to be consistent with your posting. Put up new and valuable posts on a daily basis. This will make your brand visible to the people who want to see it. This does not mean that you have to post like a clockwork, but you need to keep your feed fresh by posting at least once a day— sharing new photos, stories, and videos. That way, you will increase your followers and give your followers something to enjoy. Instagram is like a competition! To get on the “explore page” or the “top posts” of a hashtag, you need to get a ton engagement (likes and comments) as fast as you can. But, because Instagram engagement is decreasing it’s becoming harder and harder. So some users have tried Instagram bots to boost basically fake engagement on their posts. So— I get it, i do! It’s so helpful for us busy babes! BUT— it can hurt you in the long run! ➕ Posting when you tribe is most active! If you post when your tribe is most active on Instagram, you’re more likely to get more engagement on that post. That engagement will turn into Instagram bumping your post higher up on users’ feeds, which, in turn, will result in even more engagement on your post. It’s a repeating process: higher engagement leads to more visibility, which leads to higher engagement, which leads to more visibility… and it all starts with when you post on Instagram. 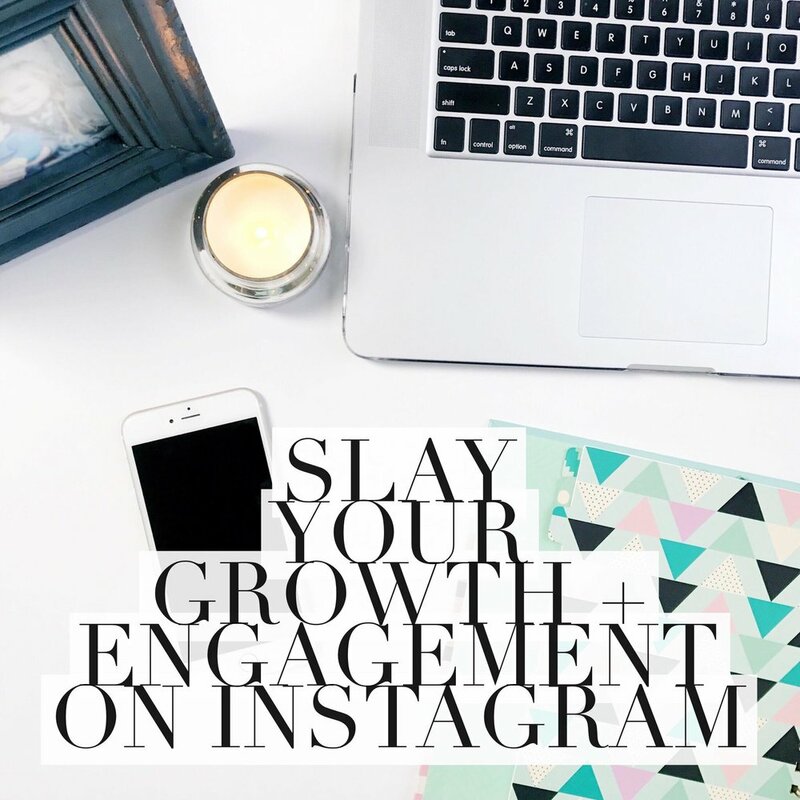 Just asking your followers to comment on your post or inviting them to engage can go so far when it comes to boosting your Instagram engagement! That’s why I can’t stress enough the importance of including a call-to-action in your Instagram captions. It’s great way to inspire your followers to engage with your account in the comments section and spend more time viewing your post. To create a call-to-action on Instagram, you just need to ask your followers to do something after reading your caption! You can ask them a question about what they’re up to this weekend, or what they think of a new product, and tell them to leave their answer in the comments. That’s it! Instagram pods are private groups of 10-15 Instagrammers, bloggers, or businesses that share similar tribes and work together to increase their Instagram engagement. They communicate with each other via Instagram DMs, and every time someone in the pod publishes a new Instagram post, they share it with the group. The pod members will then click on the post, like it, and leave a genuine comment, which encourages other users to engage with the post as well. Instagram Stories can be a ton of fun, but they’re also super useful for boosting your engagement. I tend to get more engagement on my posts when I also post to Instagram Stories. People prefer to watch stories instead of scrolling sometimes and when they see your story, they then go check out your page to see more about you! And to take your growth + engagement even a step further --join me live today in #Trendsetters where I'll be doing a live training to share more next level tips + tricks to increase your engagement! Just enter your email for your download to start instantly! Thank you! If your email didn't start instantly, click here! The Truth About Mean Girls!